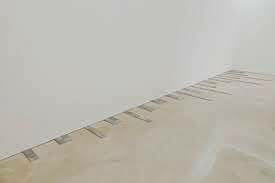 We just caught the traveling Carl Andre history at the Musée d’Art Moderne, and it was a good time to think about the so-called ‘poems’, largely from earlier times in the work. I think it’s a bit of a misnomer to call them that. They are really inventories of language as yet another elemental material, to be stacked, repeated, laid flat, pushed up against the wall. They use none of the devices of the language of poetry, title and play of content, metaphor as displacement and alternation, but they merely state themselves as material fact. Nothing wrong with that, I would add. Maybe all this is too retrospective an analysis, far too formal, and they really occurred in a more spontaneous time, along with other surprising vestiges of mail art, a plethora of postcards sent to friends through the available system at your doorstep. But what I really admire now about Carl Andre is the fact that he stopped working at a given point, and resorted to the hand-held manipulations of material shapes and forms that he continues to give to friends.Not for him to become the factory of the artworld, the manufacturer of storable property and space-fillers for over-sized collections. He remains fluid and adaptable, in spite of what at first might seem a puritan monolith of chaste material.